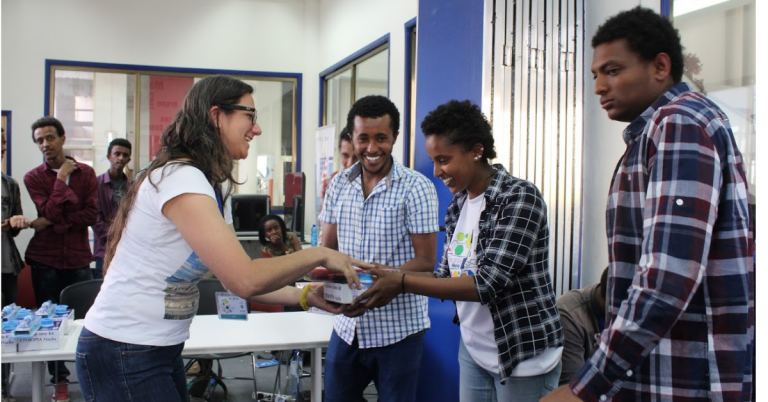 The theme of the second hackathon, held at the American Center in Addis Ababa, was “digital identification”, where participants explored out technology could be used to register and correctly identify refugees and Internally Displaced People (IDPs), ensuring they receive appropriate benefits while protecting individual privacy. Through Ethiopia Hacks! The U.S. Embassy provides a platform to encourage emerging tech-savvy to exercise their design, problem-solving, and coding skills to address challenges in their communities. Moreover, students can use this opportunity as a networking platform to further develop and prepare applications for markets where there is a need for it. In total, the Ethiopia Hacks! The program will invest in the capacity of 600 tech-savvy youth, who will have the opportunity to participate and generate solutions for their communities. Funding is provided jointly by the U.S. Department of State and the U.S. Agency for International Development (USAID). Ethiopia Hacks! Will take place in Addis Ababa, Jimma, Dire Dawa, and Bahir Dar, according to a statement from US Embassy.